Onlineability director Lisa Hutchins joined television presenter Louise Goodman and some of the leading names in women’s motorsport at Silverstone last Monday to celebrate International Women’s Day. 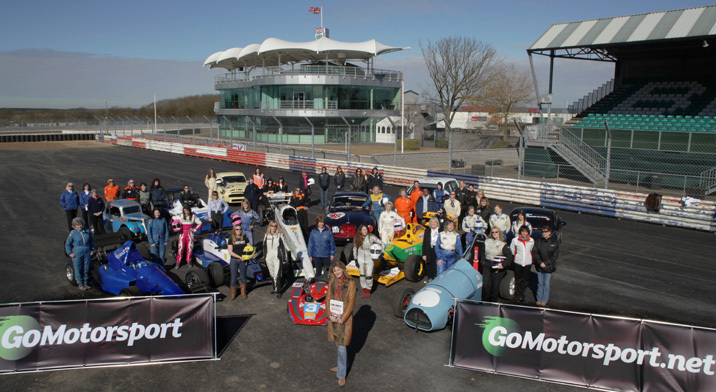 More than 50 female competitors, marshals, officials and volunteers gathered at Silverstone, home of British motor sport and the 2010 Santander Formula 1 British Grand Prix, to support the Motor Sports Association’s Women in Motorsport Group and to highlight women’s importance to motorsport. According to the Motor Sports Association (MSA), the UK’s official governing body, motorsport is one of the few sporting activities in which men and women compete alongside each other on an equal footing. Yet, as they make up only 8 per cent of registered licence holders, women are hugely under-represented among motorsport drivers. There are nevertheless an estimated 50,000 women actively involved in British motorsport. Their roles include organising events, heading teams, running clubs and associations, timekeeping, marshalling and fulfilling a host of other support roles without which the sport itself could not continue. 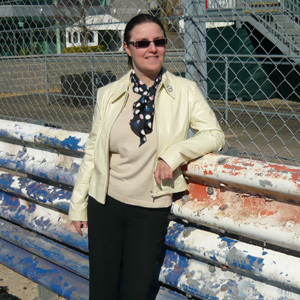 As a director of Onlineability, Lisa is a supplier of web services to drivers and management companies, and a team sponsor through the company’s support of the YourRacingCar programme. She is also co-owner of the well-regarded Brits on Pole website, which reports on British drivers in open-wheel racing worldwide, and a supporter member of the British Women Racing Drivers’ Club (BWRDC). She said: “The most impressive thing about the day was the sheer range of women that attended. Racers in their 60s were lining up alongside teenagers. Every kind of car from karts to dragsters was represented. “And it’s not only the women behind the wheel – it was inspiring to meet the marshals, officials and volunteers who keep the whole show on the road and give racing fans so many hours of enjoyment. “I’m expecting the profile of women in motorsport to get dramatically higher over the next few years. Girls now take up karting before the age of ten, exactly as boys do, and are graduating in increasing numbers to junior open-wheel racing formulas – and many other kinds of racing. Attending the event were Go Motorsport ambassador and ITV’s British Touring Car Championship presenter Louise Goodman, reigning Ginetta Junior Champion and 2009 BBC Young Sports Personality of the Year long-list nominee Sarah Moore – the first female driver to win a major British motor racing championship – and Formula Renault UK competitor Alice Powell. Sue Sanders, Chairman of the MSA Women in Motorsport Group, said: “This has been a fantastic opportunity to demonstrate the diverse range of roles that women undertake within the sport at all levels. MSA Chief Executive Colin Hilton said: “Motor sport still tends to be seen as a male-dominated activity, so we need to create female role models to inspire the next generation.  For more information on getting involved in motorsport, as a competitor, volunteer or spectator, visit the Go Motorsport website. Filed under Events and happenings, Things we've done and tagged with Brits on Pole, motorsport, MSA, Silverstone.